The love of the Elder Paisios for the whole world is well known. The Elder has helped a whole host of people before and after his physical death. But the question is from where did he receive his ability to help people and to perform miracles? He received this heavenly power through his fervent prayers to God. The following prayer of his was given to a convent which had asked the Elder for a prayer rule that could be used by the nuns in their evening vigils. This directive was given to the nuns during the final years of his life. The main emphasis of this prayer is his profound love for all of humanity. This prayer can be used by every Christian believer since it takes in all the issues of life that need our prayers. Even the children can understand it easily since it is expressed in simple words. It can be used by families during their evening prayers. Do not abandon Your servants who live far away from the Church. May Your love convict them and bring them back to You. Lord have mercy on Your servants who are suffering from cancer. On Your servants who suffer either from small or serious ailments. On Your servants who suffer from physical infirmities. On Your servants who suffer from spiritual infirmities. Lord have mercy on our leaders and inspire them to govern with Christian love. Lord have mercy on children who come from troubled homes. On troubled families and those who have been divorced. Lord have mercy on all the orphans of the world, on all those who are suffering pain and injustices since losing their spouses. Lord have mercy on all those in jail, on all anarchists, on all drug abusers, on all murderers, on all abusers of people, and on all thieves. Enlighten these people and help them to straighten out their lives. Lord have mercy on all those who have been forced to emigrate. On all those who travel on the seas, on land, in the air, and protect them. Lord have mercy on our Church, the bishops, the priests and the faithful of the Church. 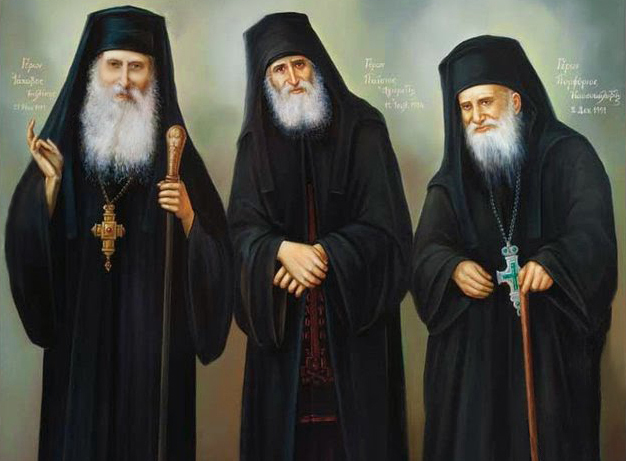 Lord have mercy on all the monastic communities, male and female, the elders and eldresses and all the brotherhoods of Mt. Athos. Lord have mercy on Your servants who find themselves in the midst of war. On Your servants who are being pursued in the mountains and on the plains. On Your servants who are being hunted like birds of prey. Lord have mercy on Your servants who were forced to abandon their homes and their jobs and feel afflicted. Lord have mercy on the poor, the homeless and the exiled. Lord have mercy on the nations of the world. Keep them in Your embrace and envelope them with Your holy protection. Keep them safe from every evil and war. Keep our beloved Greece (or the country you live in) in Your protective embrace day and night. Embrace her with Your holy protection defending her from all evil and war. Lord have mercy on those who have been abandoned and have suffered injustice. Have mercy on families that are going through trying times. Pour Your abundant love upon them. Lord have mercy on Your servants who suffer from spiritual and bodily problems of all kinds. 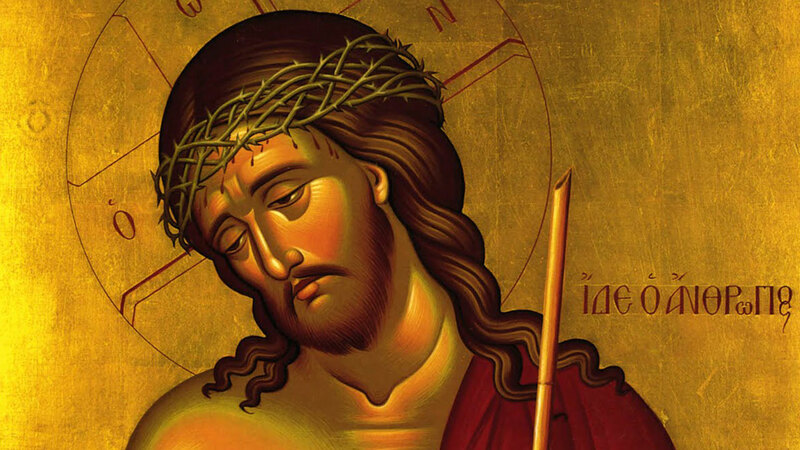 Lord have mercy on those who are despairing. Help them and grant them peace. Lord have mercy on those that have requested that we pray for them. Lord grant eternal rest to all those who have passed on to eternal life throughout the ages.